The stick is called the tang and the puck is called the biscuit. The court consists of two elongated triangles and some finely buffed hardwood to optimize the glide. 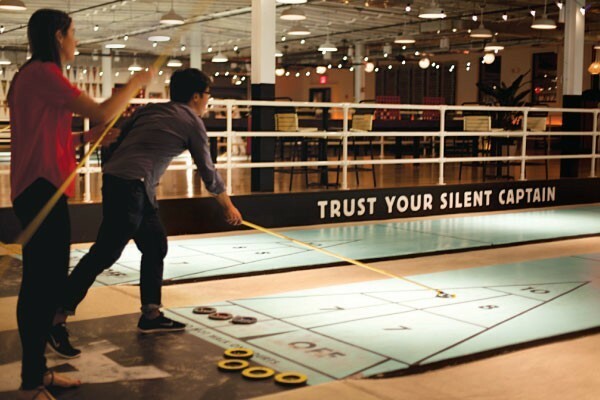 The game is shuffleboard, and while its origins are a bit ambiguous, there is no doubt that it is finding itself a new home in Brooklyn’s Gowanus neighborhood. Although a few older folks drop in to teach the youngsters a thing or two, a snapshot of Royal Palms Shuffleboard Club on a Friday night will reveal that this is not your grandfather’s game anymore. A few of the more romantic players may dress in Florida retiree chic: Panama hat, plaid on plaid, etc., but there is no requisite dress code. It’s all about the love of the game and having a good time. The former may need a little explanation, especially if someone in the party is under, say, 25. 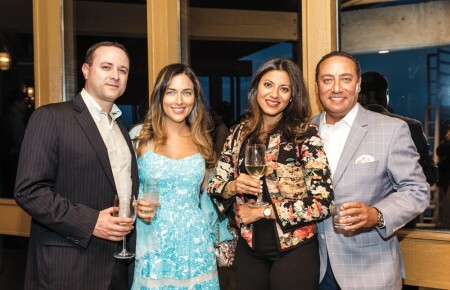 “A few people have even asked us, ‘Did you invent the game?’” said Royal Palms co-owner Ashley Albert. 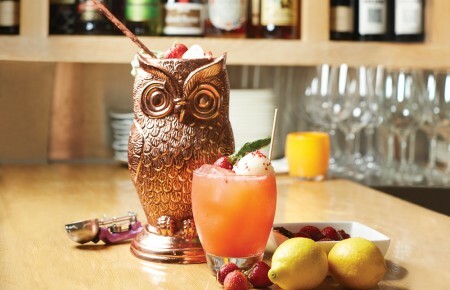 She and Jonathan Schnapp started the venue almost as a lark after dropping by the St. Petersburg Shuffleboard Club. Schnapp was visiting family in Florida and Albert was living in Miami. They were ecstatic to find that “young and cool and hip people play shuffleboard,” and an idea was born. This will be Alan’s final column for a while. He wants to express deep thanks and forever gratitude to the readers who leaned in a little to listen to his work over the years and to Pulse for giving him a space to explore.